In a recent post (Kontakt and OAX MIDI Channels – Part3) we realized that we forgot to mention two steps that will add the User Sounds we have been referencing in recent videos. 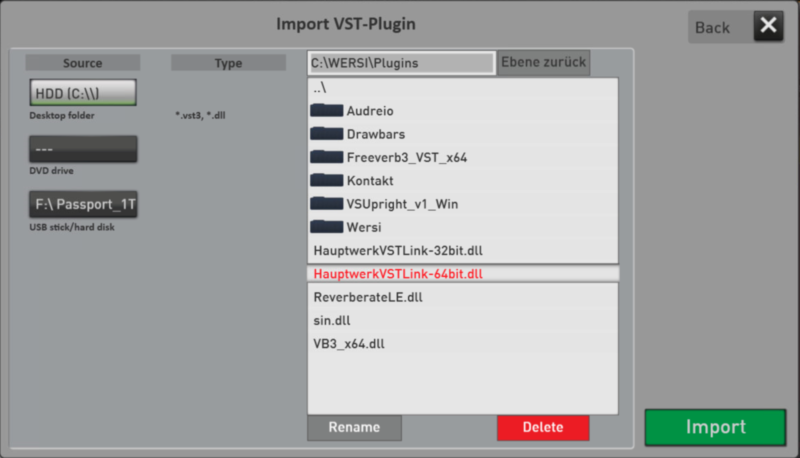 As part of setting up a VST, there is a step to import the *.dll files, for the VST you are installing. You can go back to one of our earlier videos to see more details on an actual VST install process. The second step we skipped over is the screen that will actually configure those “User Sounds” that you see in the OAX Soundlist. After you click on “Import” in the step above, a second screen will open. Hopefully the next release of OAX will be fully updated to English (since we are running the English version of OAX). If you don’t speak German (like me) you want to select “1 Bank a 128 Sounds” and click “Weiter”. That will populate the User Sound List for you. ← Thinking About Adding External Storage to Your Sonic?